Israeli Apartheid Week, a global event dedicated to education and debate on Israel’s military occupation of Palestine, has been running on Winnipeg campuses and in the community for 5 years, and SAIA groups have repeatedly shown they are seeking dialogue, while opposing racism and other human rights abuses. There were no incidents of harassment or discrimination by event organizers, speakers or participants at IAW 2013. WCAIA maintains that SAIA’s work embodies respectful and fair political comment, and believes that the UMSU motion constitutes slander, and repression of free speech and freedom of association. WCAIA is pursuing a legal opinion on the matter. In yet another effort to muzzle speech that exposes Israeli war crimes and atrocities in occupied Palestine, Zionists at the University of Manitoba in the university’s Student Union (UMSU) passed a resolution to ban the Student Against Israeli Apartheid (SAIA) and its activities from campus on April 11, in a 19-16 divided vote, against the legal advice of the student union’s lawyer. Based on these two premises, the UMSU concluded that Zionists are being ‘discriminated’ against and are a subject of ‘harassment’ because of “abusive and unwelcome conduct or comment undertaken or made on the basis of such national characteristics.” It should be noted that this happened shortly after a student union elections campaign focused on silencing supporters of Palestine. Aside from the obvious fact that there are many factual, and, indeed, grammatical errors in this resolution – indicative of the lack of research and thoughtfulness on behalf of the drafter, and the lack of debate on this topic – the resolution couldn’t be further from the truth. 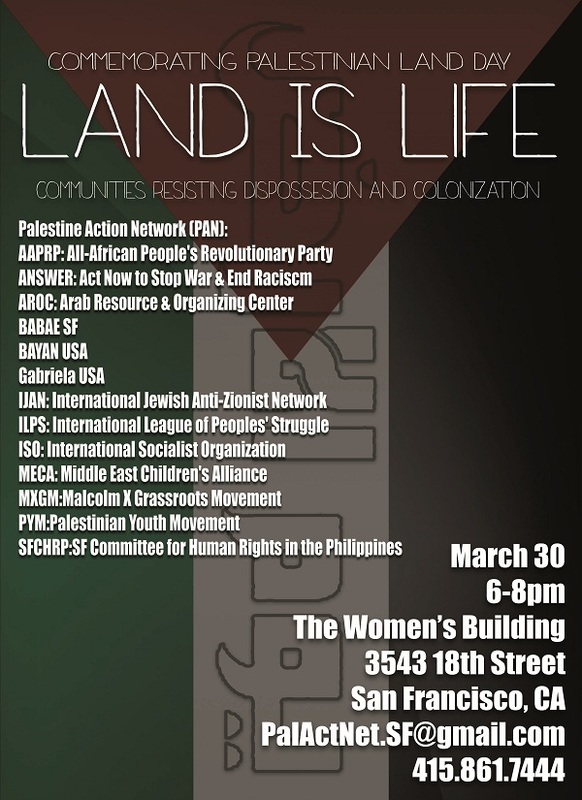 Many Jews and Israelis – students at the University of Manitoba or otherwise – are not Zionist, and this statement attempts to conflate religious identity and national origin with a specific, and racist, political ideology. To make such a claim to falsely lump an entire community of believers under the banner of racist political ideology whose fundamental objective is to dispossess Palestinians, ethnically cleanse them and occupy their lands. “Killing the Palestinian political leadership. Killing Palestinian inciters and their financial supporters. Killing Palestinians who acted against Jews. 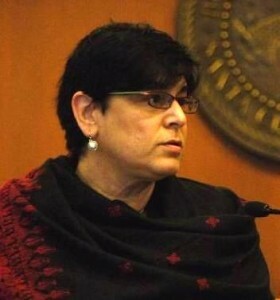 Killingsenior Palestinian officersand officials [in the Mandatory system]. 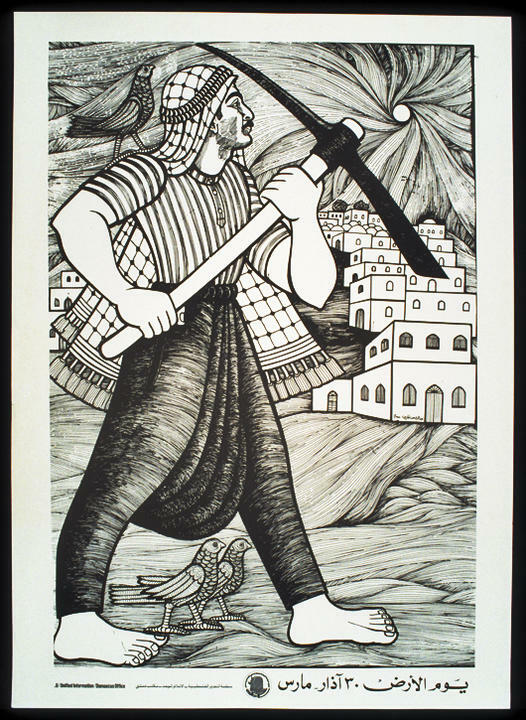 Damaging the sources of Palestinian livelihoods: water wells, mills, etc. Attacking nearby Palestinian villages likely to assist in future attacks. 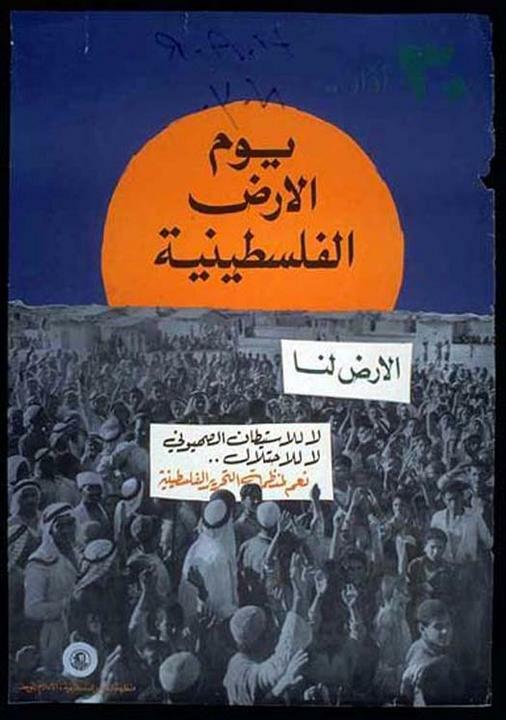 Zionism is the political ideology that led to the expulsion of over 750,000 Palestinians from their homeland, and continues to deny Palestinian refugees their right to return to the present day, and has justified occupation and ethnic cleansing for over 65 years on a racist and discriminatory basis. This is the Zionism that the UMSU decided to protect; and instead of conducting proper research, opted for a decontextualized and narrow definition from the Merriam-Webster dictionary – something that does not fit an academic institution such as the University of Manitoba. This is not the first time supporters of Palestine were muzzled on Canadian campuses. Previous failed campaigns to engender similar results were thwarted at McMaster University in Hamilton, York University in Toronto, Carleton University in Ottawa and the University of British Columbia in Vancouver. These attempts ranged from outright banning of clubs, to banning their activities to simply characterizing their events as “controversial” to impose higher standards and dissuade students from participating in them. Similarly, Canadian politician like Jason Kenney, Michael Ignatieff, Joyce Murray, and many others are on record for labelling of pro-Palestine activists as chauvinistic anti-Semites on a mission to eliminate Israel from existence. 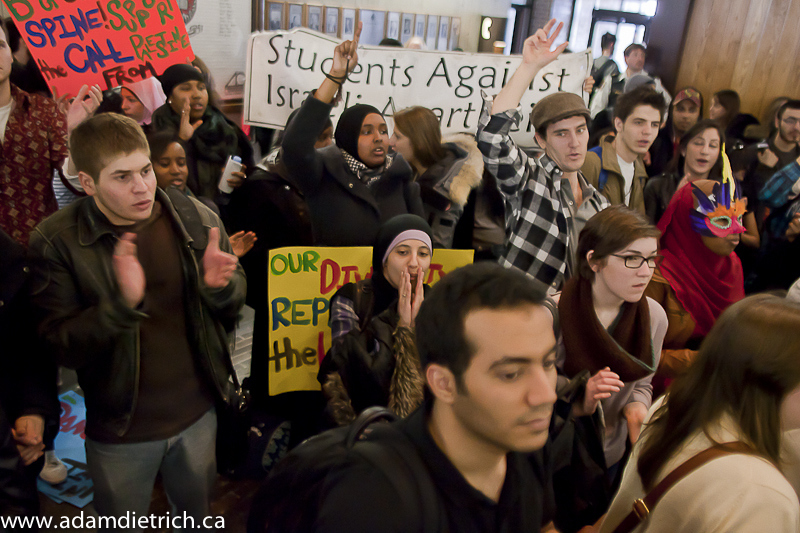 Jewish students across Canada are neither intimidated, nor are they targeted for their beliefs by SAIA or SPHR. In fact, many of these groups’ members are Jewish and are proud to voice their opposition to Zionism and the illegal practices of Israel in occupied Palestine. Considering all Jews as Zionist, and labelling as such in mainstream media and various academic institutions is an explicit act of anti-Semitism. Not only does it strip Jews from the agency of selecting their own worldviews and ideologies, but it also makes them liable for the racist attitudes perpetuated by the Zionists. If students, academics and politicians are truly interested in the promotion of human rights, then they should voice their unequivocal support of all the efforts conducted by SAIA and SPHR. If students, academics and politicians are interested in debate on this particular issue, then they should conduct their own research first instead of relying in flimsy arguments and propaganda campaigns and narrow one-line definitions from a dictionary. Zionists and their supporters must understand one simple piece of information. It is impossible to muzzle criticism of Israel, and it is impossible to put a stop the Boycott, Divestment and Sanctions (BDS) campaign against Israeli Apartheid. Students and academics who are at the forefront of the struggle against Israeli Apartheid are people who have conducted immense research, thought very carefully about the consequences of their actions and are well-aware that Israeli actions are immoral and illegal. Any effort to muzzle free speech will be counterproductive. Students who support Palestinians and their inalienable rights are more adamant than ever to make it abundantly clear that the fight against Zionism will not interrupted via a single ill-worded resolution that will ultimately have no effect on the ground. Canadians are becoming more aware of the issues. They have access to the internet and alternative media. 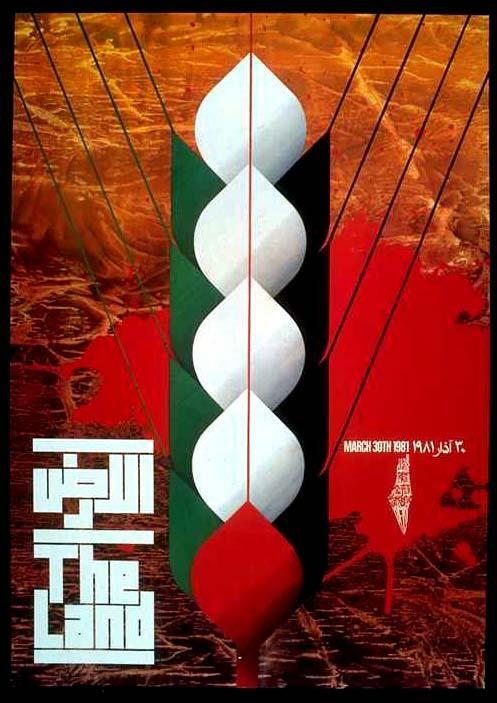 They are aware of Israeli war crimes and crimes against humanity against the Palestinians, and they are aware of the plight of the Palestinian people in the refugee camps and the diaspora. Around the world, ever-growing numbers of people are learning about Palestine and taking action to halt official and corporate complicity in Israeli war crimes. When Israeli officials cause the death of a single Palestinian, there are lawyers around the world committed to seeking justice and accountability in international courts. Despite all the efforts of those who would silence Palestinians and their allies, the reality is that the truth will not be silenced, and justice for the Palestinians will be attained. 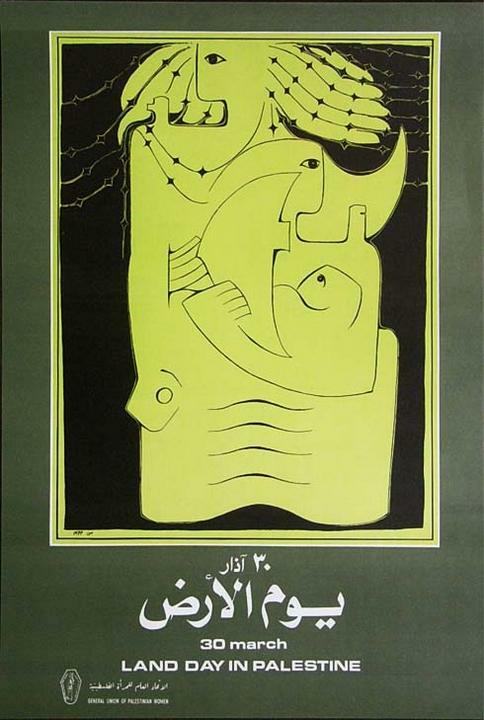 Omar Shaban is a third generation Palestinian refugee from the Nahr El-Bared refugee camp in Lebanon. 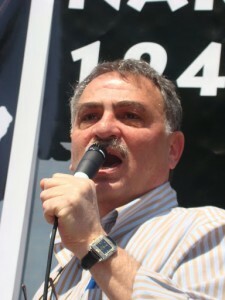 He is the former president of Solidarity for Palestinian Human Rights (SPHR) at UBC and a member of the organizing committee of Return and Liberation: Conference of the Palestinian Shatat in North America. Help support the Conference – buy a Journal Ad! 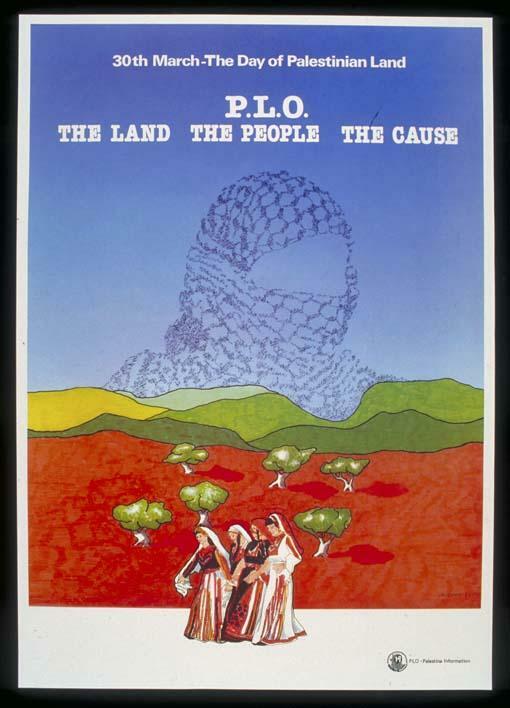 Return and Liberation: The Conference of the Palestinian Shatat in North America, taking place May 3-5, 2013 in Vancouver at the University of British Columbia, will bring Palestinians together to discuss the future of the Palestinian cause and the direction of the struggle, through plenaries, workshops, cultural expression and more! 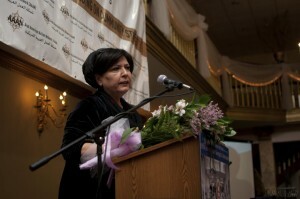 Full details about this unique conference bringing together the Palestinian community – as well as registration – are available on our website, www.palestinianconference.org. The conference program will feature journal ads promoting and supporting the programs, work and activities of businesses, community groups and others. 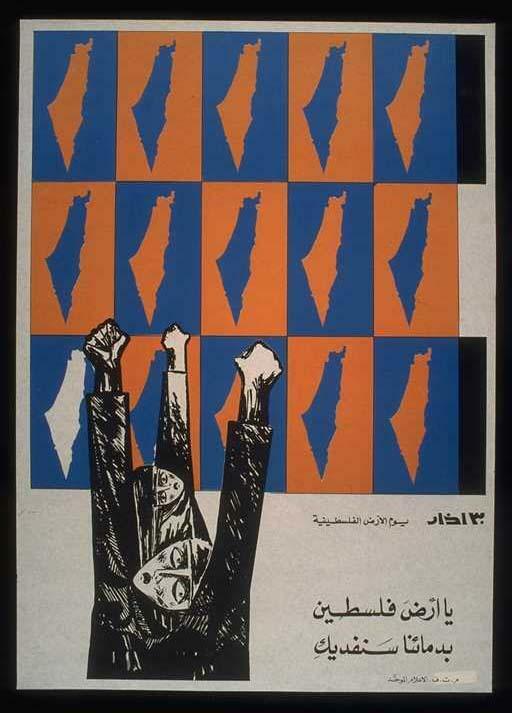 Buying an ad is both act of support for the conference’s work to organize and unify Palestinian efforts in North America, as well as a means to raise awareness of the work of your own organization. 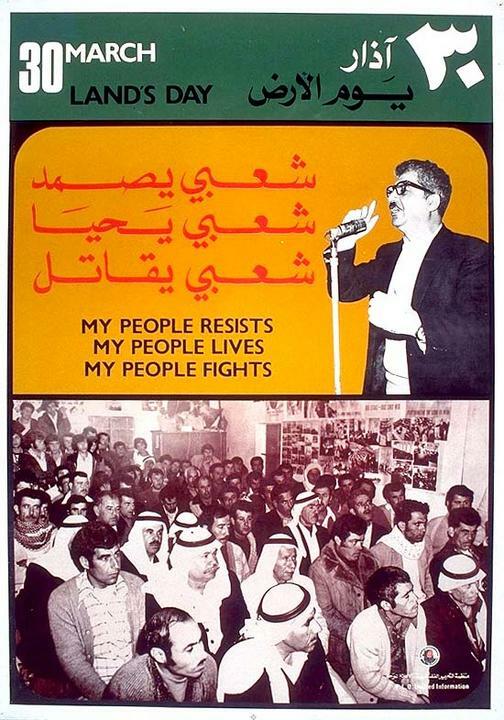 Reach all conference attendees – and thousands more through online distribution and our attendees’ outreach with your message, information or products, and help to support the convening of the Conference of the Palestinian Shatat in North America with a Journal Ad. 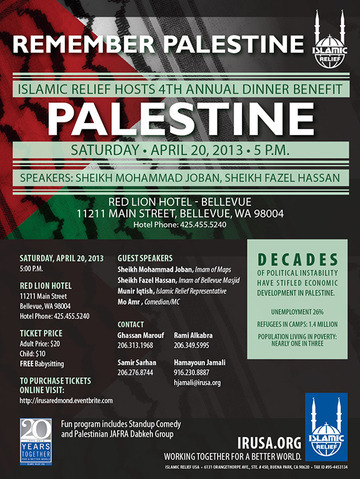 Please email palestinianconference@gmail.com with any questions about ad specifications! Please note “Journal Ad” in the memo line. 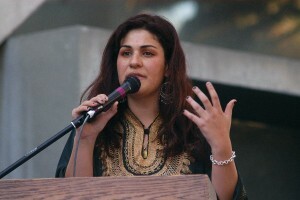 Organizing Committee of the Shatat Conference is delighted to announce that Palestinian singer Nisreen Hajaj will be featured at Return and Liberation: Conference of the Palestinian Shatat in North America, at the University of British Columbia, Vancouver, May 3-5, 2013. 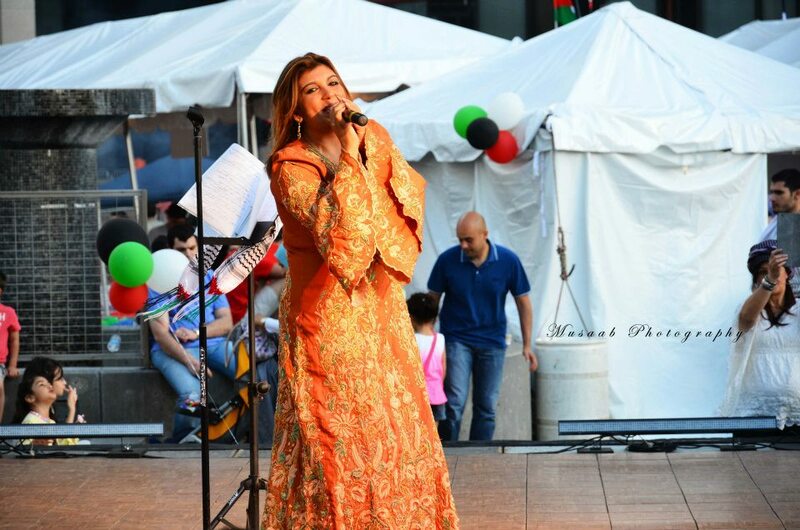 Nisreen Hajaj, is a Palestinian singer/performer who began her musical career at age 16. Nisreen is the winner of several awards including LBCI Studio El-Fan in 2006 for the Arab World Category. 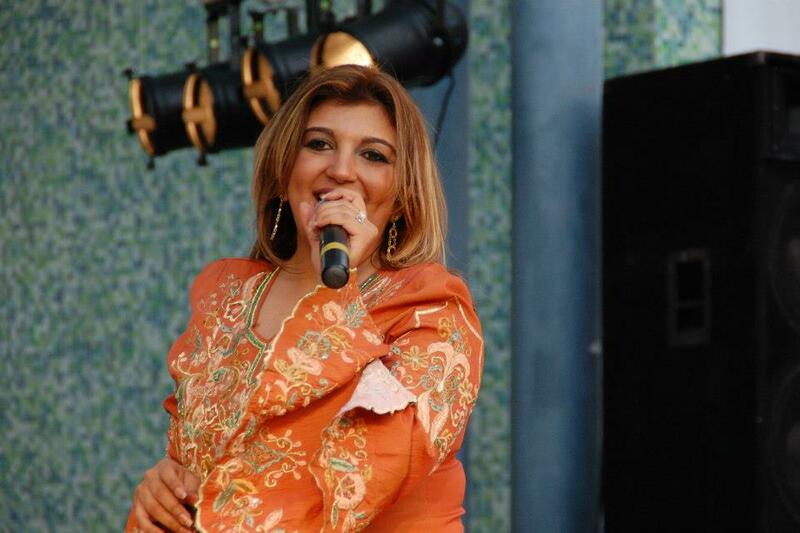 In 2008, she also won the Golden Medal in the FIDOF Competition on the National Lebanese Broadcasting Station. 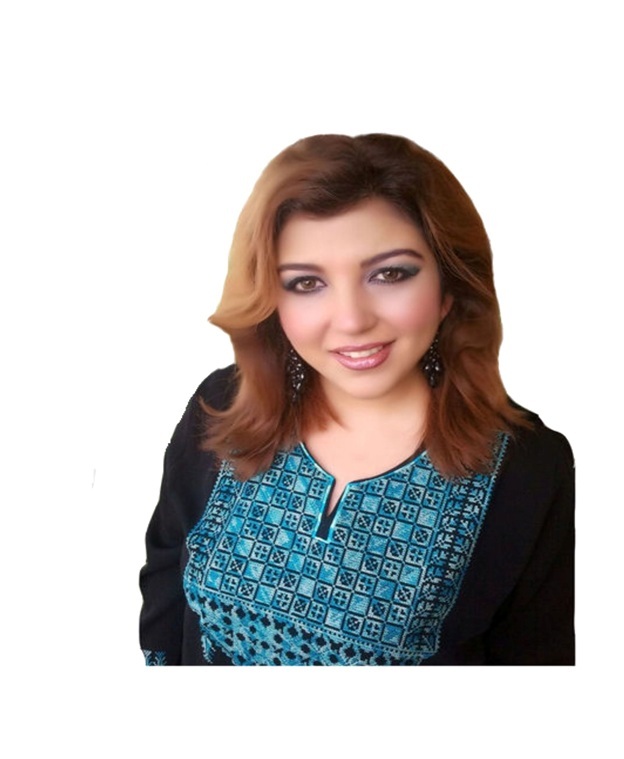 Nisreen studied five years of music at the National Lebanese Conservatory including Oriental and Modern Chanting, Byzantine and Syriac and also the ‘Oud. In 2008, Nisreen joined Ferqat Haneen Lel Ughniyah Al-Felasteeniyyah and sang for Palestine, the homeland she was deprived of. 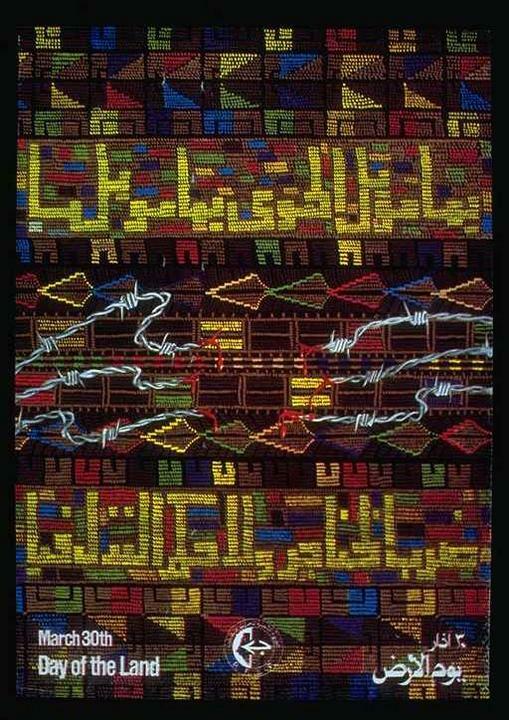 She is a member of The General Union of Palestinian Artists in Lebanon. Today, Nisreen returns to perform on stage for Palestine, and pledges that she will keep on the fight for justice through her voice and music. 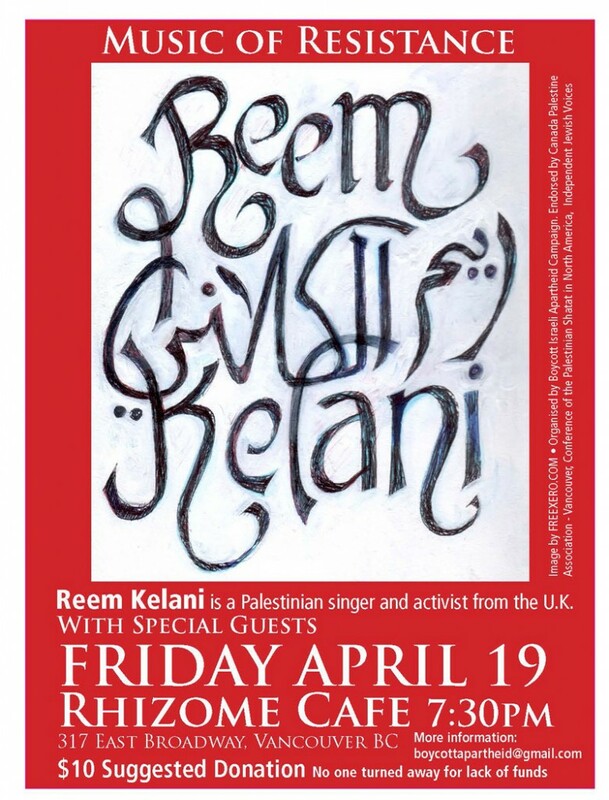 Marking Palestinian Prisoners’ Day, commemorate Palestinian cultural resistance with art and music, featuring the song of Palestinian singer and musician Reem Kelani. With all the calamities facing the Middle East these days, the Palestinian one has the biggest impact. 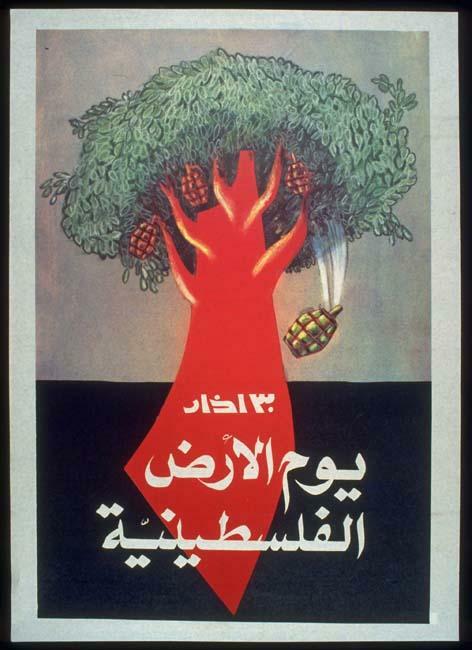 Remember Palestine! 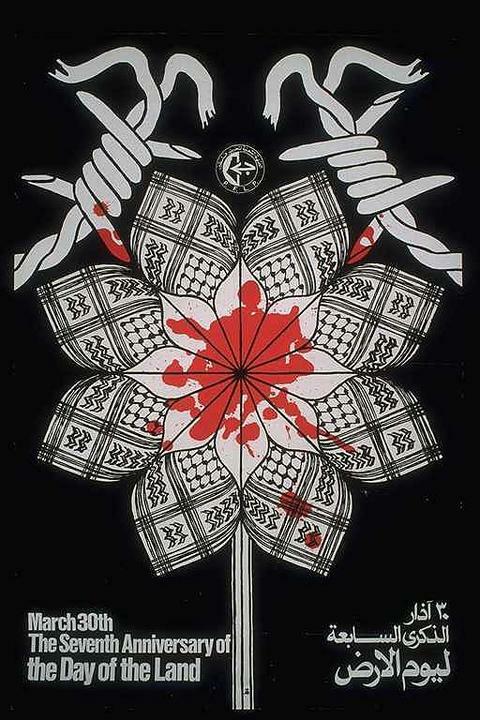 Don’t forget our brothers and sisters in Palestine. Palestinians still live under Israeli occupation are their situation is still dire. 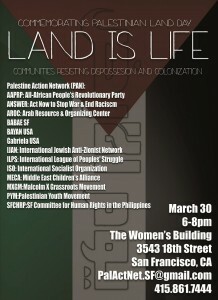 Please join us for a fundraising dinner to benefit our brothers and sisters living under occupation. 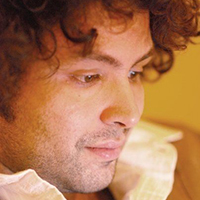 Please contact Samir(sarhans@gmail.com) directly for tickets and more information. 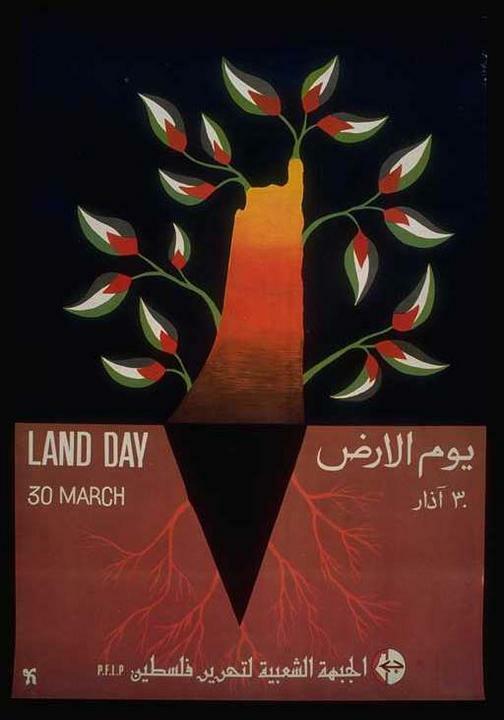 March 30 marks Land Day, a day in which Palestinians inside and outside Palestine commemorate and celebrate the Palestinian connection to the land and continuous struggle against colonialism. 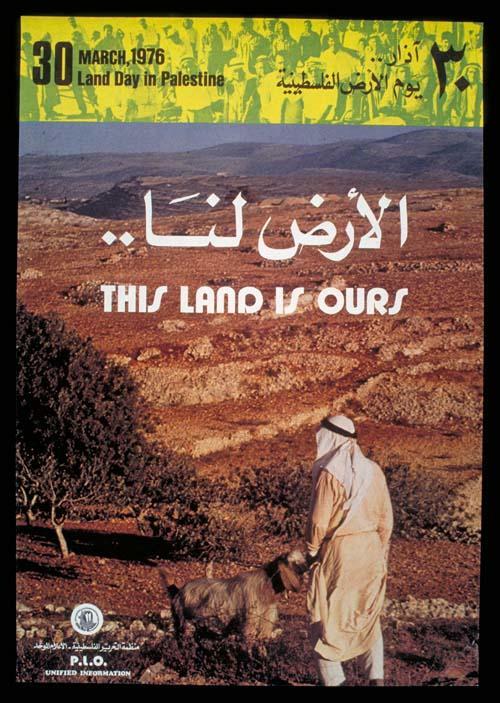 2013 is the 37th Land Day, coming on the anniversary of the mass upsurge in occupied Palestine 1948 in 1976, in response to yet another Israeli attempt to confiscate over 20,000 dunums of Palestinian land in the Galilee. 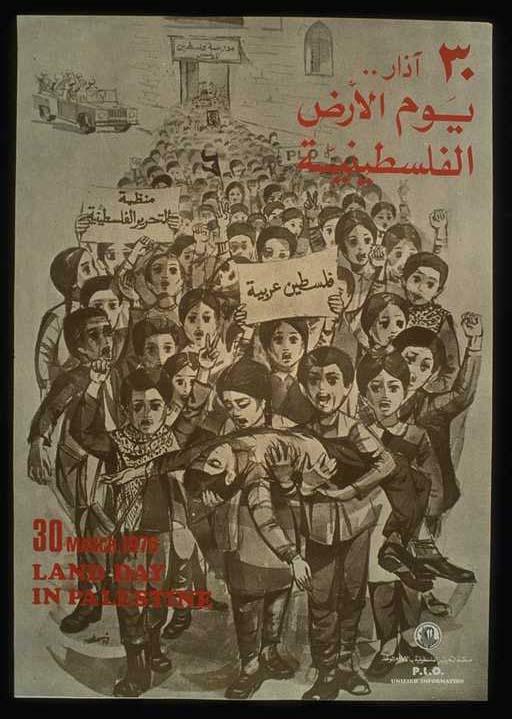 Thousands of Palestinians of ’48 rose up in a general strike and mass protests, the largest upsurge of Palestinians in the ’48 areas since the Nakba. Six Palestinians – Kheir Mohammad Salim Yasin, Khadija Qasem Shawahneh, Raja Hussein Abu Rayya, Khader Eid Mahmoud Khalaila, Muhsin Hasan Said Taha, and Ra’fat Ali Az-Zheiri – were shot dead by the occupation army as they protested. 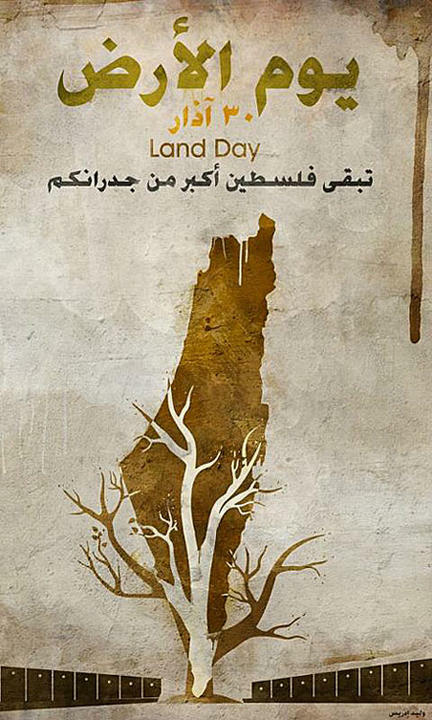 Palestinians in occupied Palestine ’48, in the West Bank and Gaza and everywhere in exile continue to mark Land Day annually with protests, gatherings, and renewed commitment to liberation of the land and people of Palestine. 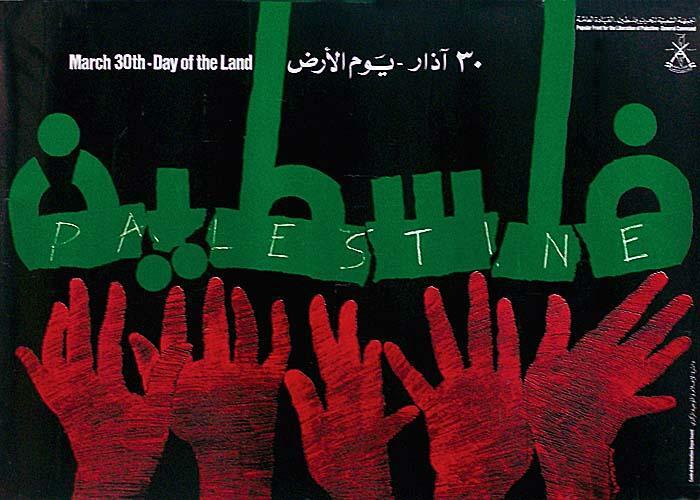 On this Land Day, we look forward to coming together in Vancouver on May 3-5 for critical conversations and organizing about Palestinian representation and the future of our Palestinian national movement. Click here to register today for the Conference of the Palestinian Shatat in North America, and click here to donate to help support the conference’s efforts. 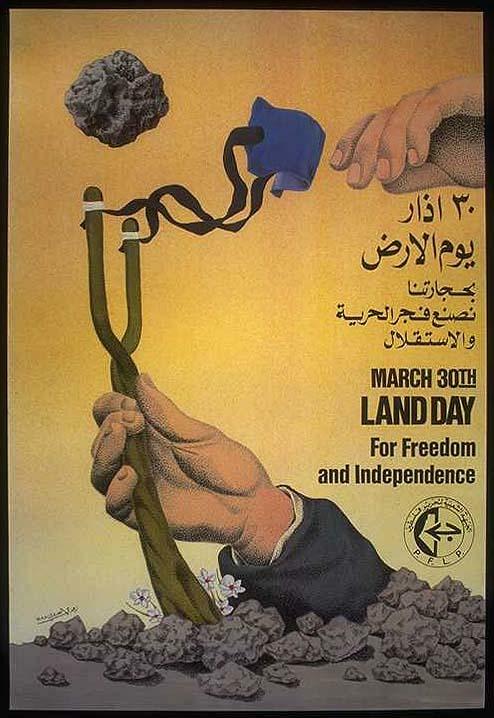 The following posters are some of the countless images produced by Palestinian organizations to mark Land Day. 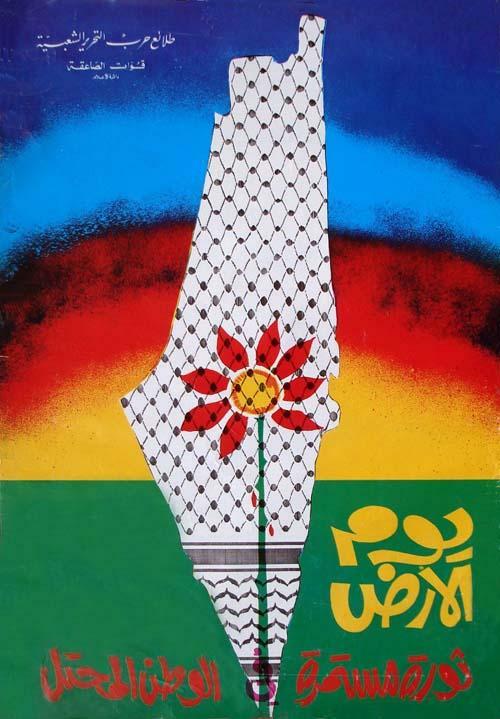 For a complete collection, see the Palestine Poster Project. 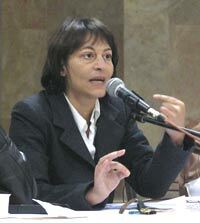 Karma NabulsiFormer PLO representative; professor, St Edmund Hall, Oxford University. Obama’s speech in Ramallah reaffirmed my conviction that the conference that will be held in Vancouver in May is more important than ever – and this is why. 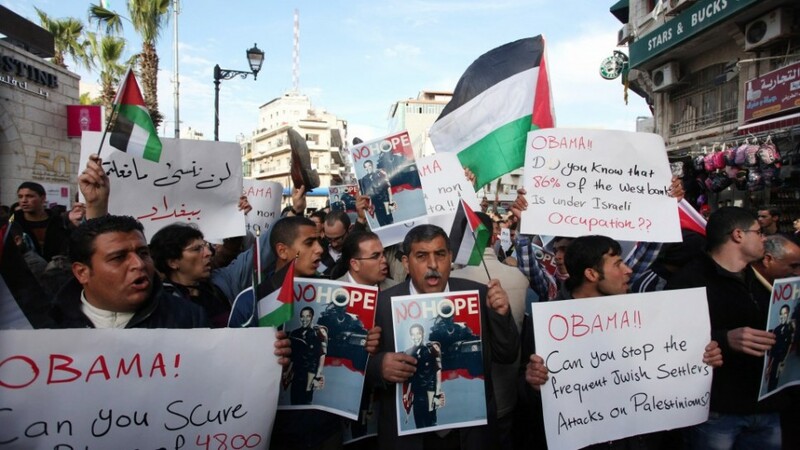 With an extremely patronizing and condescending attitude, and with a saviour mentality, Obama barged into the Palestinian territories unwelcomed to preach to Palestinians on how to go about resisting the occupation. He stood by the side of the PA’s unelected President Mahmoud Abbas surrounded by American flags with an annoying smirk on his face bragging about American support for the creation of “an independent and sovereign state of Palestine.” Note how he chose the preposition “of” instead of “in” indicative of the general American attitude towards Palestinian national self-determination, which demands that Palestinians forget about their sentimental, national and historical attachment to all of Palestine, settle for whatever is left and establish what may look like a state. He then continued with commending Mahmoud Abbas and Salam Fayyad – Palestinian Authority officials who are widely recognized as willing puppets and symbols of corruption, exploitation and subservience to a settler colonial agenda. Brushing aside all the efforts of the Palestinian civil society and grassroots organizations at maintaining the existence of the Palestinian national identity, actively resisting the ongoing occupation of Palestine and serving the Palestinian community day after day, Obama insisted on highlighting what he referred to as “the progress they [Abbas and Fayyad] made,” which could not have been accomplished without the measly donations provided by USAID. “Ramallah is a very different city” that suits what Obama wants Palestine to look like – the bastion of corruption, embezzlement and exploitation of Palestinian sweat and blood. “Palestinian security forces are stronger and more professional” and, I should add, are better at executing their mission – repressing Palestinian activists and dissidents, shutting down blogs and news websites that speak out against the occupation, arresting and jailing Palestinian youth and torturing armless young men, women and elders. How odious is Obama’s audacity of political manipulation and disregard of the day to day suffering of the Palestinian people? how odious is his contempt to the Palestinians’ right to elect and choose who governs them? And how odious is his rejection of the Palestinians right to resist a vicious occupation that has been going on for 65 years? It needs to be made very clear that the Palestinians do not need Obama or anybody to lecture them on how to resist the Israeli occupation; and this is why this conference is very important. Travelling from all across the world, Palestinian activists will congregate in Vancouver to express solidarity with the Palestinian people, bring to light the plight of the Palestinians in the shatat especially in the refugee camps, discuss and create more efficient methods at fighting the general Zionist discourse which promotes colonialism and imperialism, dismantle the myths that the current leadership of the PLO and PA try to perpetuate, and build a united vision for the future. This conference is going to reject Obama’s condescending attitudes. It will send him and his allies in Canada and Europe a clear message that the Palestinian people is not in need of his measly USAID which when compared to aid he gives to Israel is less than a drop in the sea. Palestinians inside and outside of Palestine do not need a war criminal to tell them that they have “the talent, the drive, and the courage to succeed in their own state” – they already know that. 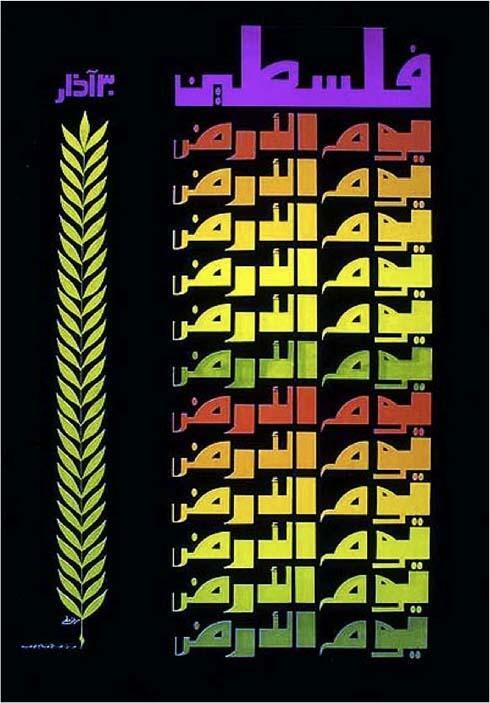 As we say in Arabic: بدناش جميلتك ..